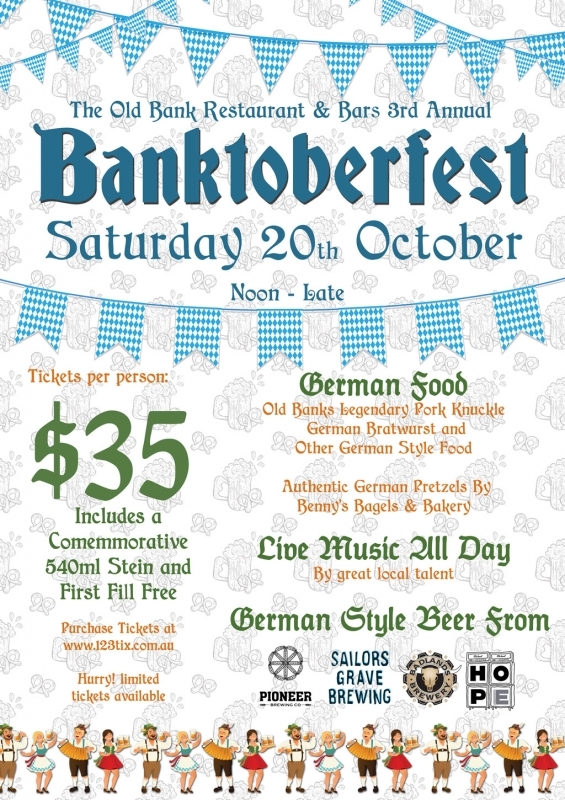 Its On Again - Dubbo's Third Annual Banktoberfest! Come and enjoy authentic German Beers on tap provided by some of Australia's leading craft breweries matched with authentic German food! $35/Ticket price includes a commemorative stein (540ml) to drink with and take home and your first fill free! (Discounted refills all day for ticket holders). German beer on tap from Badlands Brewery (Orange) and Young Henrys Newtown, Pioneer Brewing, Sailors Grave Brewing and Hope Estate Plus many more! GRAB YOUR MATES AND BOOK SOME TICKETS BEFORE THEY SELL OUT! 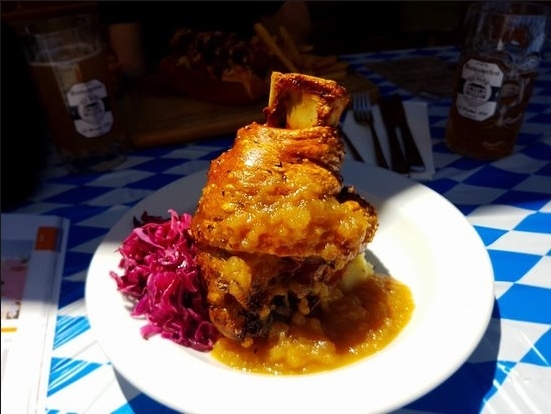 DONT FORGET TO PRE-ORDER YOUR PORK KNUCKLE!